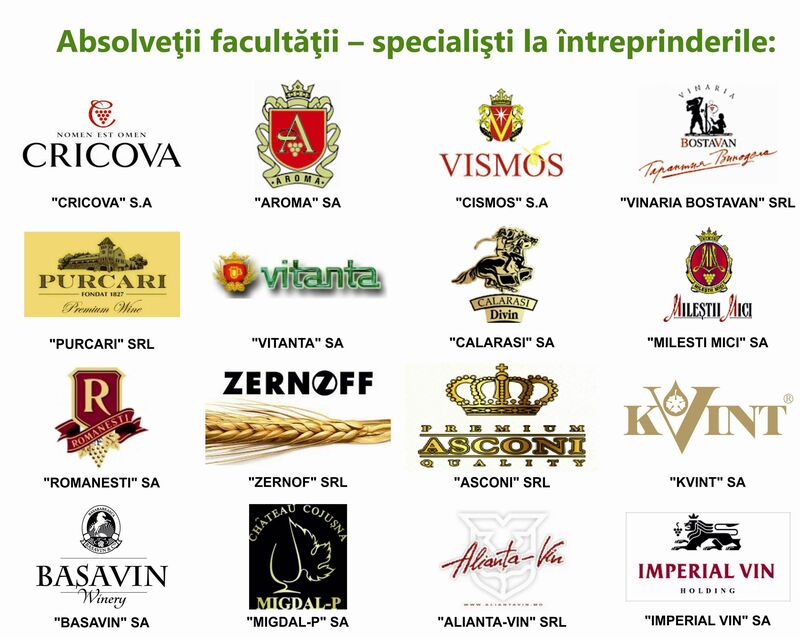 The Faculty of Food Technology is the largest educational establishment in food industry in Moldova. 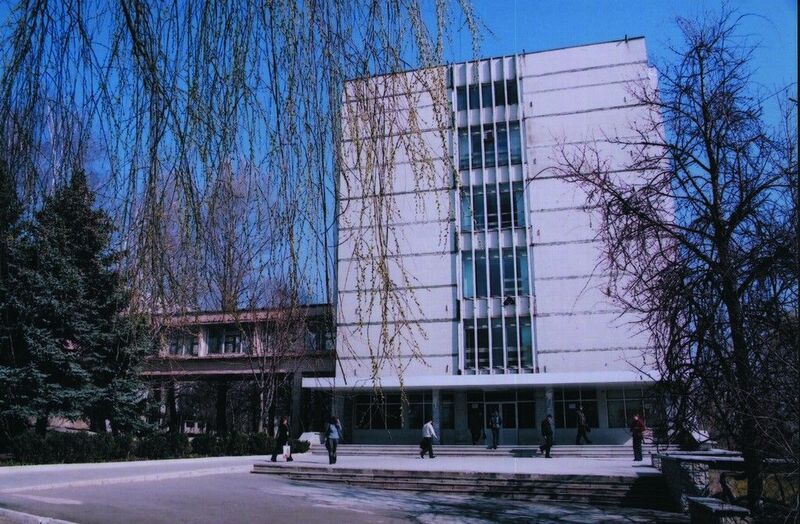 The specialty „Industrial Chemistry” (food industry profile) at the Faculty of Chemistry within the State University of Moldova was established in 1959 and represents the origin of our faculty. The specialty was included in the Faculty of Chemistry. There are 79 members of the teaching staff, who had teacher training courses in various countries such as USA, Belgium, France, Italy, Romania, Portugal, Hungary, Bulgaria. The teaching staff includes 2 Doctors Habilitate, professors; 47 PhDs, associate professors. There are 32 subjects taught in a foreign language (French). 57% of them get state funding scholarship (full-time education), 43% of them pay tuition fee contracts (full-time education). 00469 – Food security and food safety during the demographic transition period (2018-2021). Coordinator – Rodica STURZA, dr. hab., prof. univ. 18.51.07.01A / PS – Reduction of the contamination of raw and food products with pathogenic microorganisms (2018-2019). Project Director – Rodica STURZA, dr. hab., prof. univ. 817.04.40 A. “Elaboration of methods for the protection of nuts fats (Juglans Regia L.) from Oxidative Degradations”, 2014-2018. Project Director – Pavel TATAROV, dr. hab., prof. univ. 14.824.05.191T “Elaboration and implementation of advanced technologies for the production of ecologically pure dairy products with new starter cultures”, 2014-2015. Project Director – Boris CARABULEA, PhD, Assoc. prof.
01/15 – “The use of starter cultures in the production of fermented salami”. 2014-2016. Project Director – A. MACARI, PhD, Assoc. prof.
“Renovation of the training laboratories’ equipment for the practical training of winemaking winery”, 2014-2017. Project Director – Anatol BALANUŢĂ, PhD, prof. univ. “Renovation and endowment of the training laboratories for practicing horticultural courses in the program of restructuring of horticultural sector” Livada Moldovei “, 2018-2020. Project Director – Vladislav Reşitca, PhD, Associate Professor. 16.80013.5107.22 / Ro «Substitution of synthetic food additives with bioactive components extracted from renewable natural resources», 2016-2018. Project Director – Rodica STURZA, dr. hab., prof. univ. “Recyclable porous materials for depollution – application to effluents from the food industry – “MPR-DEPIA” – Project coordinated by TUM with the participation of “Vasile Alecsandri” University of Bacau, Romania and the University of Québec, Montréal (Canada), 2017- 2018. Project Director – Rodica STURZA, dr. hab., prof. univ. “Finding solutions to increase the shelf life of food” – Project coordinated by TUM with the participation of «Dunarea de Jos » University of Galati, Romania and University of Food Technologies in Plovdiv, Bulgaria, 2016-2017. Project Director – Rodica STURZA, dr. hab., prof. univ. University of Agricultural Sciences and Veterinary Medicine “Ion Ionescu de la Brad” Iaşi, Romania (UASVM), Faculty of Horticulture. The total number of graduates in the last five years – 1203 (full-time education) and 448 (part-time education). Graduates of the faculty often work in different areas – training, production, teaching, research, various projects, etc. SA „JLC”, SA „Incomlac”, ÎM „Fabrica de brânzeturi din Soroca” SA, SA „Lactis”, VC „Saturn-13” SRL, „BantCarad“ SRL, ÎCS „Lapmol” SRL, S.A. „Orhei – Vit”, ”Condiviv mpex” .R.L., ”Creavita” S.R.L., S.A. „BaS.A.rabia Nord”, S.A. „Carmez”, S.R.L. „Pegas”, FPC „Rogob” S.R.L., S.R.L., „Cvadrivita”, S.R.L. „Aviselect”, ÎCS „Farm Meat Processing”, S.R.L., SC„Pan-Car-Lean”, S.R.L. „Olista Uniflex”, S.R.L. „Nivali-Prod”, S.R.L. „Dameco-Lux”, S.R.L. „Ion Mos”, S.R.L. 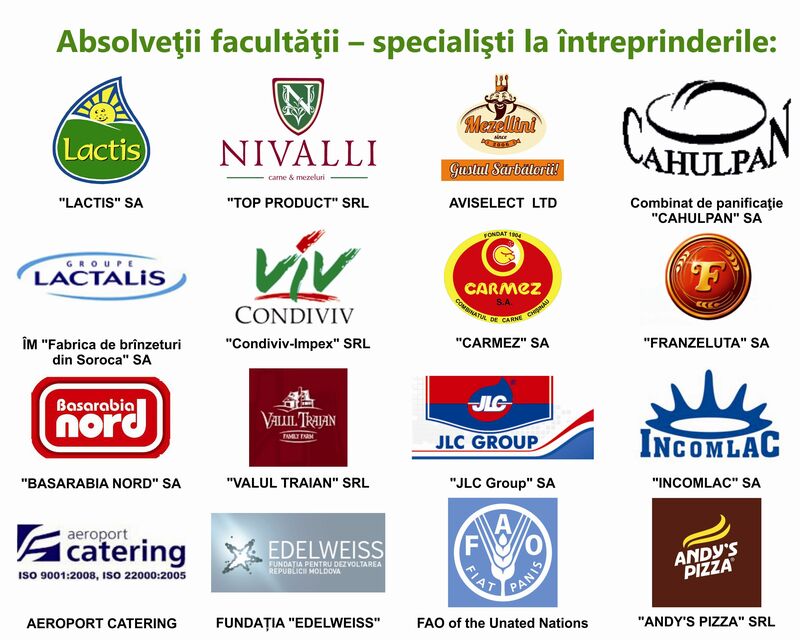 „Cardiax-Plus”, S.A. „Franzeluţa”, BRODETCHI SRL, SRL „Paninella”, SRL „Etolaur”, SRL „Şafranăx”, Î.I.”C.Jamba”, S.C.”Budai Grup”, SRL „Bon Appetit”, SRL „Malexim”, SA „Bucuria”,SRL „Pat Panex”, SA „Cahul Pan”, SRL „CAPLAN”, SRL „PLAIZIR”. Faculty of Technology and Management in Food Industry .Block of study nr. 5,Technical University of Moldova, 9/9, Studentilor str.